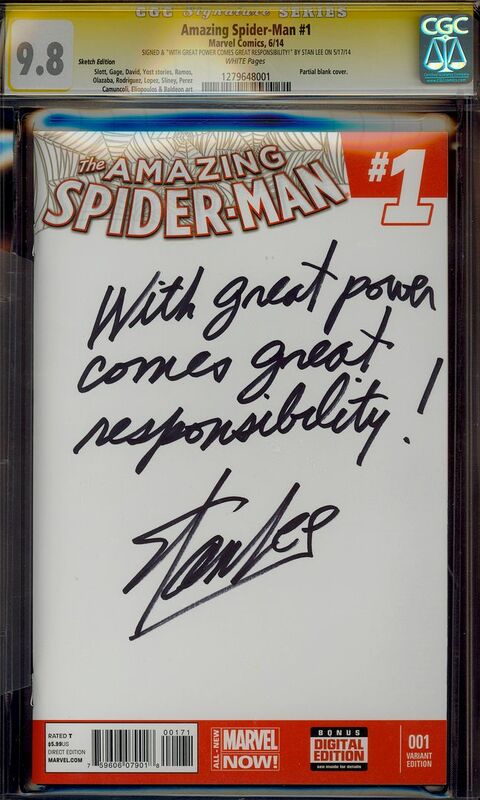 SPIDERMAN 1 CGC 9.8 SS STAN LEE "WITH GREAT POWER COMES GREAT RESPONSIBILITY!" "WITH GREAT POWER COME'S GREAT RESPONSIBILITY!" OWN A PIECE OF COMIC HISTORY TODAY!